MAILSTORE – 30 day, no obligation free trial available. An email archive should be seen as an extension to the email system that is already in place and it goes without saying that it is used in exactly the same manner. The administrator can define which emails are to be transferred to the archive at which point, and whether the emails should be deleted from the regular email system mailboxes once archiving has taken place. The archive enables efficient management of very large volumes of data, as well as providing all of the users in a company with fast, convenient access to the archived emails. 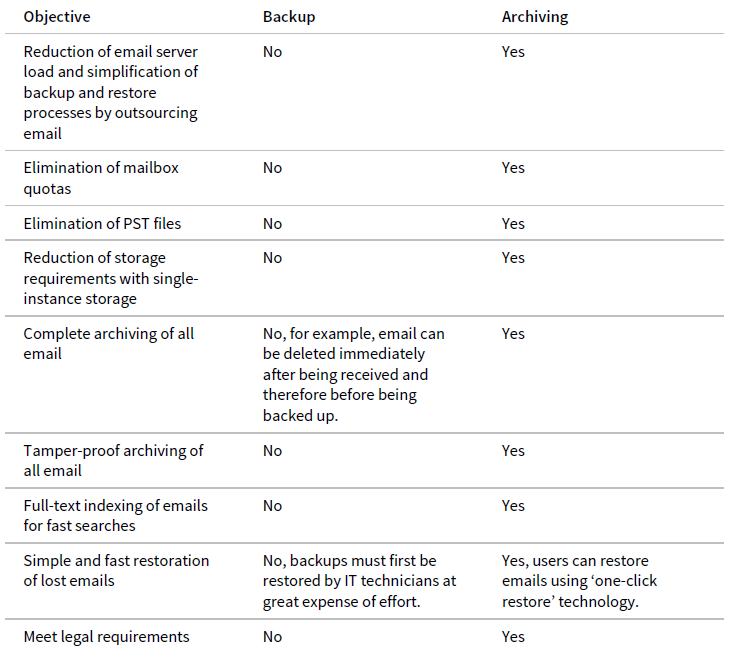 While backups are designed for the purpose of disaster recovery, email archiving can help to realize completely different objectives. The IT strategy of security-minded companies shouldn’t fail to include both approaches.